When you're in the market for a new light-duty pickup truck, you want something versatile that works hard and plays harder--after all, no one has just one reason for buying at truck! With the 2017 GMC Sierra 1500 in Scottsdale, you'll never have to compromise. The Sierra 1500 is strong and durable with one of the highest max trailering limits in its class. Countless customizable features and accessory packages give you more of what you need, while the elite Denali trim fulfills your desire for luxury. The Sierra 1500 also offers the latest in connectivity and safety features making for an unparalleled driving experience. The GMC Sierra 1500 commands attention with its bold grille design, signature LED lighting and unique angular wheel openings. Several packages add more eye-catching features such as 17-inch stainless-steel or 20-inch aluminum-polished wheels, tinted windows, LED fog lamps and more. The Sierra's truck bed is available in short, standard and long with available spray-on bed liner, LED box lighting and eight built-in tie-down hooks. 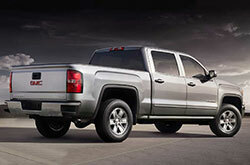 GMC's CornerStep rear bumper feature makes stepping up into the bed easy. Many 2017 GMC Sierra 1500 reviews are likely to rave about the Sierra's slew of available cabin amenities including leather seating, a leather-wrapped steering wheel, heated and vented seats, and a wireless charging pad. The available 8-inch ColorTouch IntelliLink infotainment system with smartphone integration and 4G Wi-Fi hotspot keeps users connected wherever they go. 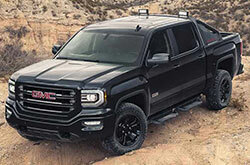 The GMC Sierra 1500 in the Phoenix area comes with three engine options, all boasting quite a bit of horsepower. The base, a 4.3L V6 engine, reaches 285 horsepower and 305 lb.-ft. of torque. Paired to it is a 6-speed automatic transmission. 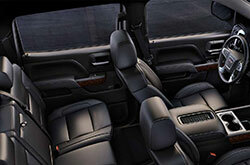 Higher trim models are equipped with a 5.3L EcoTec3 V8 capable of 355 horsepower and 383 lb.-ft. of torque. The V8 can be paired to the 6-speed or an 8-speed automatic transmission. For those looking for even more power, a new 6.2L EcoTec3 V8 defies expectations, making 420 horsepower and 460 lb.-ft. of torque. Not bad for a light-duty truck! The Sierra is capable of towing up to 12,500 lbs. and features a Tow/Haul mode, trailer sway control and an optional Trailer Brake Controller. As many 2017 GMC Sierra 1500 reviews are sure to tell you, the Sierra's range of safety features is innovative, offering drivers exactly what they need to be confident on the road. The Sierra is designed with the industry's first Rear Seat Reminder which alerts drivers to check the backseat before exiting the vehicle. Models above base feature a rearview camera to assist in backing up. For more safety features, buyers can opt for the Driver Alert Package with IntelliBeam headlamps, lane keep assist, front and rear park assist, low speed automatic braking, forward collision warning and more. The Sierra is also equipped with OnStar capabilities which, with a subscription, give access to automatic crash response, emergency roadside assistance and more. 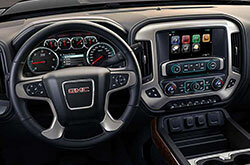 Discover All the Latest Info on the GMC Sierra 1500! Considering a new car to own in the Phoenix area? If so, don't just view the 2017 Chevy Silverado, Toyota Tundra, Dodge Ram and the Ford F-150; be sure to mull over the enticing 2017 GMC Sierra 1500 in addition to these options. You may find that it is a clear-cut match for you, with its eye-catching exterior design and incredible cabin amenities. 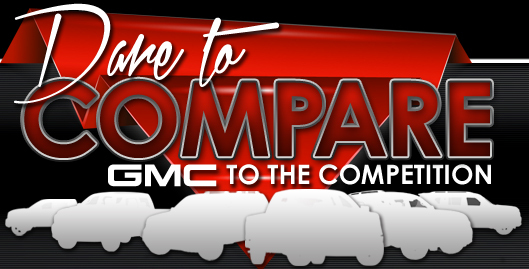 Confirm if it's right for you using our 2017 GMC Sierra 1500 report as well as the included comparison tool; and when you've made your choice, make sure you view current lease incentives on our website. 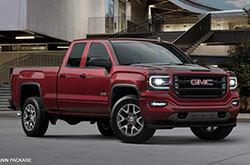 When you visit Van Buick GMC, you'll find financial incentives on a wide selection of new and used cars, including offers for the hot-ticket GMC Sierra 1500. To keep yourself from making a choice you feel uncertain of, make sure you note the points that you find invaluable from our 2017 GMC Sierra 1500 review. Our collection of good-looking GMC Sierra 1500 models in Scottsdale, AZ is huge. Call to schedule a test drive and come explore our lineup. Curious to get a peek at its equipment prior to your visit? See the embedded video clip.